Privacy conscious Twitter users have some check boxes to de-select. Twitter is dumping its support for Do Not Track (DNT), changing how it shares user data with third parties, and holding any web browsing data it collects for a longer durationâall to better aid in ad targeting, of course. 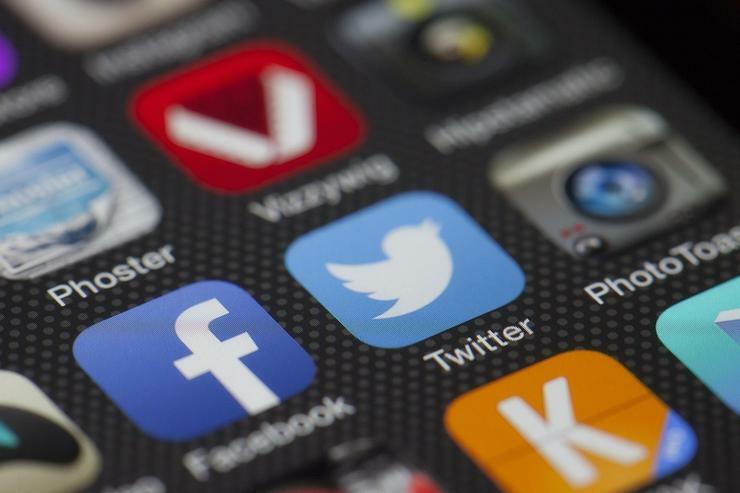 But at the same time, Twitter is giving users more control over what kind of user data can be used for targeted advertising, as well as more transparency about the information it collects about you. The privacy features are active now, but the new privacy policies that dump DNT, change data sharing policies, and hold your data longer don't come into effect until June 18. Here's a look at what's going on. If you go to the "Your Twitter data" section of your account settings, you'll see there's a lot of information there about your activity and how you're being advertised to. You can see the locations you've visited, which Twitter also uses for targeted advertising. There are also lists of the various interest categories that Twitter thinks suit you, and categories that third-party advertisers think you're interested in. If you see any categories you don't like in either section Twitter lets you dump them. You can also request to see a list of advertisers who have categorized you into various groups, as well as see how many groups you're in. My account, for example, is "part of 17,056 audiences from 4264 advertisers" as of this writing. Twitter's personalization and data settings. In Twitter for the Web, go to Settings > Privacy and safety > Personalization and Data. Here, you can see additional check boxes regarding personalization of ads based on your information. If you like, you can leave them all active, which is the default, or you can uncheck every box and turn it all off. The settings are fairly self-explanatory, but they include general personalization for ads, information about the apps you use on your smartphone, your location history, and websites you visit that have embedded twitter buttons or tweets. Back in 2012, Twitter decided to honor Do Not Track, which is basically an honor system for web tracking. When browser users had a Do Not Track setting enabled, any service that honored DNT wasn't supposed to track that person. As part of these changes, Twitter will no longer honor Do Not Track settings. It's no surpriseâDNT has turned out to be a silly system and an unrealistic idea. Anyone who truly wants to stop tracking online should be aggressive about it by using ad blockers and extensions such as the Electronic Frontier Foundation's Privacy Badger. The impact on you at home: The real change to pay attention to is the data retention policies for web browsing. Twitter is able to monitor any website you visit when you're logged in to Twitter and visiting a site with a Twitter button or an embedded tweet. Previously, Twitter saved that data for 10 days, but will now keep it for 30. If you don't want Twitter to track you at all go to your Personalization and Data settings and uncheck "Track where you see Twitter content across the web." While you're at it, you might as well dump "Share data through select partnerships" too. 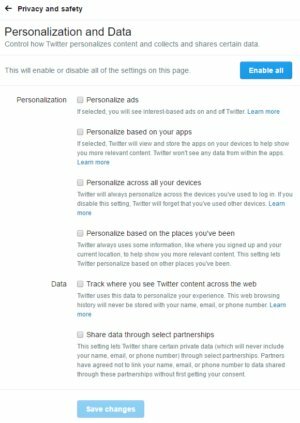 When active, the setting lets Twitter share "certain private data (which will never include your name, email, or phone number) through select partnerships. Partners have agreed not to link your name, email, or phone number to data shared through these partnerships without first getting your consent."